Ever since I saw these mini muffins with butterscotch chips at nans yum yums Iv been dying to make them! I cant tell you how many shops Iv visited just to find these darn butterscotch chips! Only when you are looking for something your sure never to find them. rite???????? I made a few changes to the recipe and also got ideas from this one. I loved her idea of using a crumb mixture on top, which made it extra special. 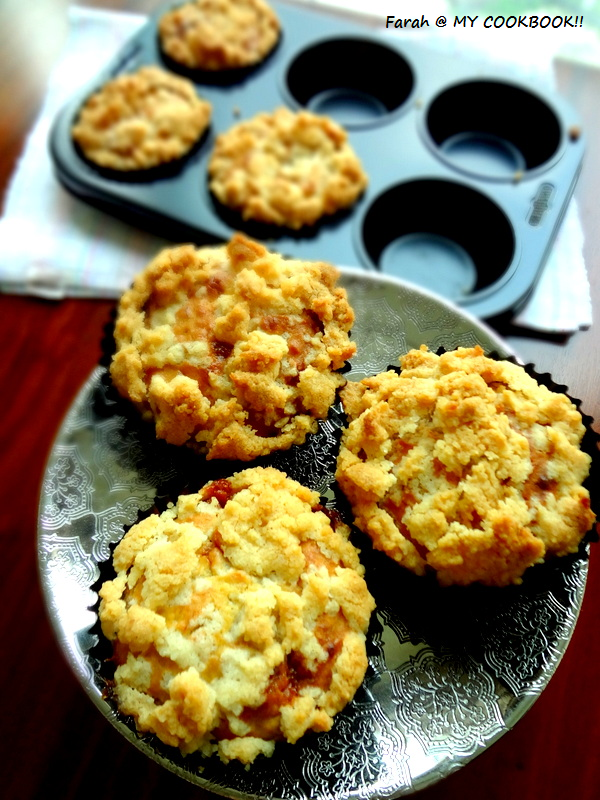 The final product were those soft muffins with the crispy crunchy crumb topping! Tastes amazing the day you make it. 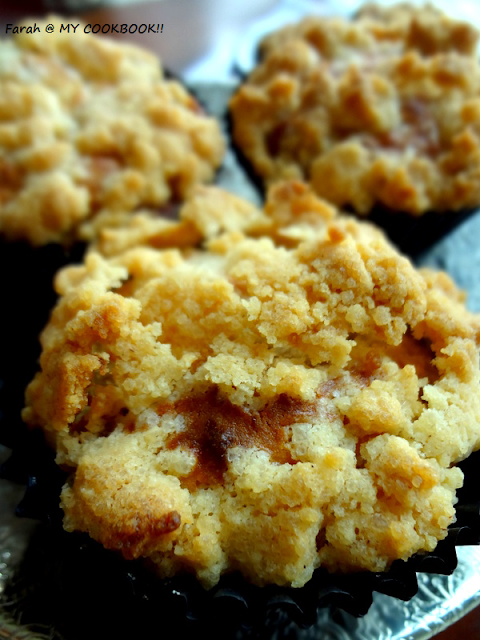 If you're planning to keep it in the fridge and eat it ...you might want to omit the crumb topping as it gets a bit soggy! 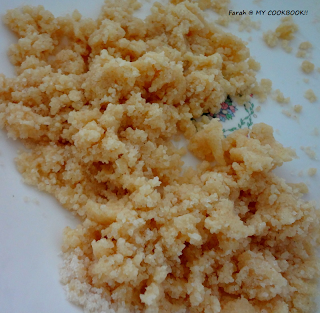 In a bowl, mix the ingredients stated under ' for the crumb mix' by hand until the mixture is pea sized. keep aside. Add half the yoghurt and half the dry ingredients and mix slightly. 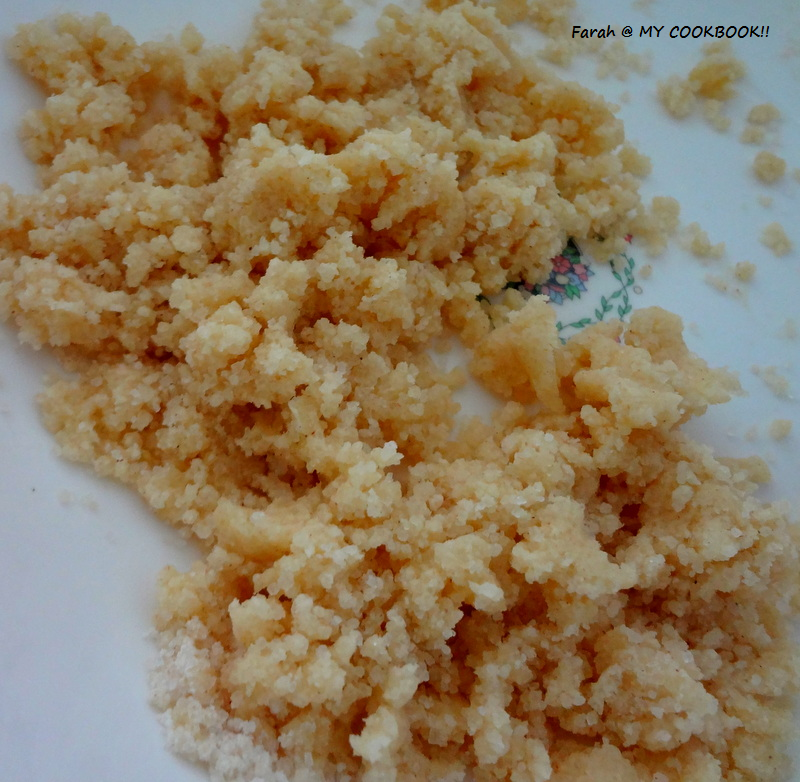 Then add another half of yoghurt and dry ingredients and mix till just combined. Dont over mix as the muffins will become rubbery. Fold in bananas and butterscotch chips . 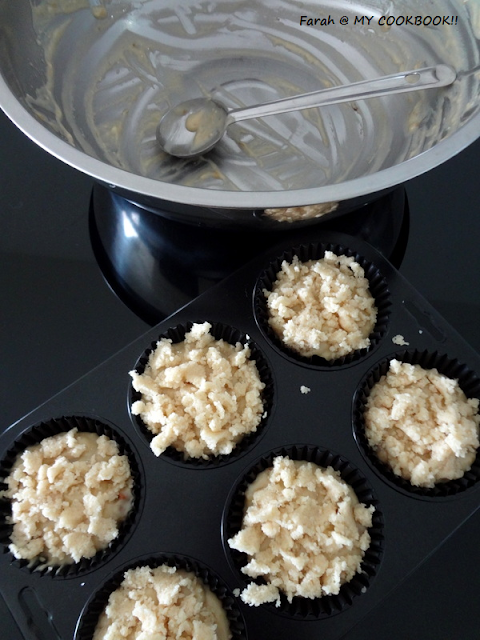 scoop the mixture into muffin cups until they are 3/4 th full, leaving room on top for the crumb mixture. bake in the oven for about 25 mins or until a toothpick inserted comes out clean. Irresistible muffins, love those wonderful top. 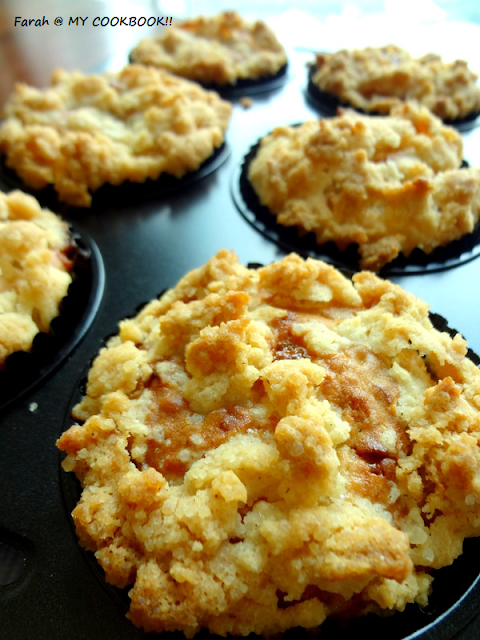 lovely muffins...happy to follow you..